← Get your first month FREE + $10.00 coupon when you sign up! In my ongoing battle to get my supplement game up and #GetBrolic I’m trying a lot of supplements. And in doing so I created this blog to share my knowledge with the world. Everyone needs a pick me up now and then. A lot of people go to energy drinks or those little shots that claim to give energy for hours on end. My partner at work uses a powder that rhymes with emergency, mostly for the vitamins but he takes it mid morning so we will add it to my ramblings. 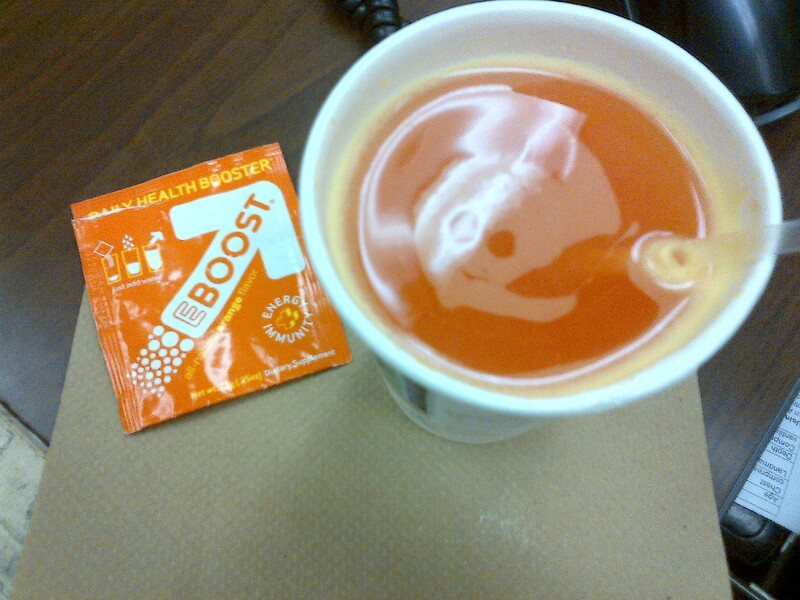 Today’s energy booster was EBOOST. With the exception of stevia leaf extract I can vouch for these ingredients. Zinc and magnesium are great for you. And many bodybuilders take ZMA, Zinc Magnesium Aspartate, to boost Testosterone. The B and C vitamins are always great for you and are plentiful here. Niacin, Chromium, and Copper and Selenium are all quite useful as well. Quercetin and Resveratol are both powerful antioxidants that are amazing for the body and that fight free radicals. Grape seed extract is also considered to be a powerful antioxidant that helps with swelling, cholesterol, skin issues, and some eye problems. Potassium is great for your bones, kidneys heart and many organs. Its great for athletes so another boost there. Folate is great for cell growth and metabolism. Now all of these you have probably heard of, heck you probably use them. Nowadays we all know we need a great multivitamin and a healthy amount of antioxidants. What got me excited about this product wasn’t that they also added caffeine. The Vinpocetine was a bonus as well. Another supplement for the brain that is said to boost memory and brain function. While it is prescribed in other countries it is available at your local health food store. With uses from Alzheimer’s to stroke tinnitus it sounds pretty damn useful as well. For a mid morning boost this sounded like the right stuff and I was vastly curious. So I poured it into my cup and was raring to go. First I must say it mixed well. Not all supplements are made equal and solubility is a big way to see that. It mixed well with no back alley grit. Second it smelled and tasted terrific. The orange taste was great and by no means medicinal. I actually enjoyed drinking this. Now for the boost: it was there. The caffeine and B vitamins definitely kicked in and were a smooth ride to greater focus. Overall the product was great with a large amount of key vitamins and a healthy mix of ones I have on my list to sample. In fact the amounts in this beverage may make it a more fiscally sound purchase. At a price of $28.00 per 20 cost per serving is $1.40. So it may seem steep initially but when you factor in all the extras and the fact you can buy bulk you are actually winning. Also they will send you a 5 dollar off coupon and shipping is free. Sounds sweet I’d say. Overall I’d give this product 5 stars. I know I’m going to use it. Taste, efficacy, and contents make it king in its niche. Image | This entry was posted in Supplements, Supplements and tagged #getbrolic, athletes, b12, b6, body building, bodybuilding, brain boost, caffeine, chromium, copper, Eboost, emergenC, energy, excel, folate, grape seed extract, great taste, growth, gym, gymrat, huperzine A, magnesium, memeory, minerals, mix, multi vitamin, niacin, orange, potassium, potential, powder, quercetin, resveratol, selenium, stevia leaf extract, strength, supplements, vinpocetine, vitality, vitamin C, vitamins, weight lifting, weightlifting, zinc. Bookmark the permalink.